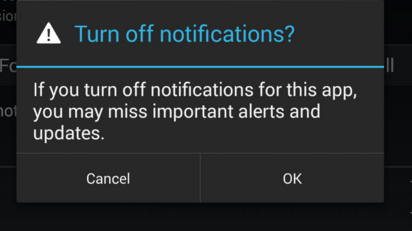 How can I turn off/on Android notifications? 1. Select " MENU" from your devices home screen. 2. Open your " Settings" menu. 3. Under " Device or Downloaded" head to "Apps"
5. Select " OK" to confirm and you should no longer receive notifications from that application.